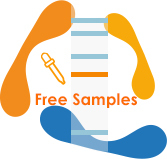 Description: Antigen standard for cancer/testis antigen family 45, member A5 (CT45A5), transcript variant 1 is a lysate prepared from HEK293T cells transiently transfected with a TrueORF gene-carrying pCMV plasmid and then lysed in RIPA Buffer. Protein concentration was determined using a colorimetric assay. The antigen control carries a C-terminal Myc/DDK tag for detection.